The waters that surround an island often contribute to its character. 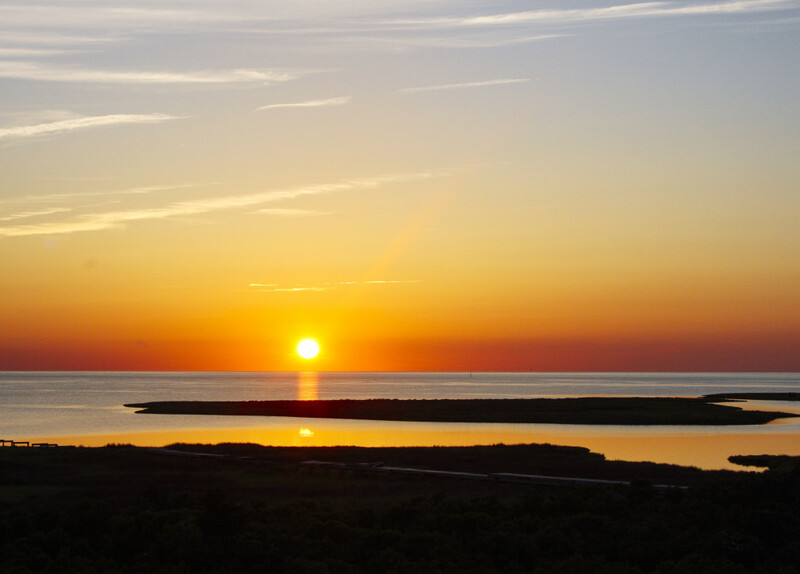 It’s the Pamlico Sound, the Atlantic Ocean’s quieter counterpart, that sets the slower pace of life on Hatteras Island with its calm waters, saturated sunsets, endless views, and open starry skies. A low, sandy barrier island, Hatteras Island sits 30 miles “out to sea” from the mainland of North Carolina. The “sea” between the island and the mainland is actually the Pamlico Sound. Part of a large interconnected network of lagoon estuaries, the sound is part of one of the biggest estuaries in the United States, second only to the Chesapeake Bay. Alive with waterfowl, fish, crabs, shellfish, marsh grasses, seals and turtles, the sound also serves as an important habitat for spawning fish like striped bass, shad and herring. Even larger species like dolphin can occasionally be found spending time there. Fed by inlets from the Atlantic Ocean and freshwater rivers to the west, the sound water is a brackish mix of salt and fresh water and is shallow throughout, with an average depth of 5-6 feet. 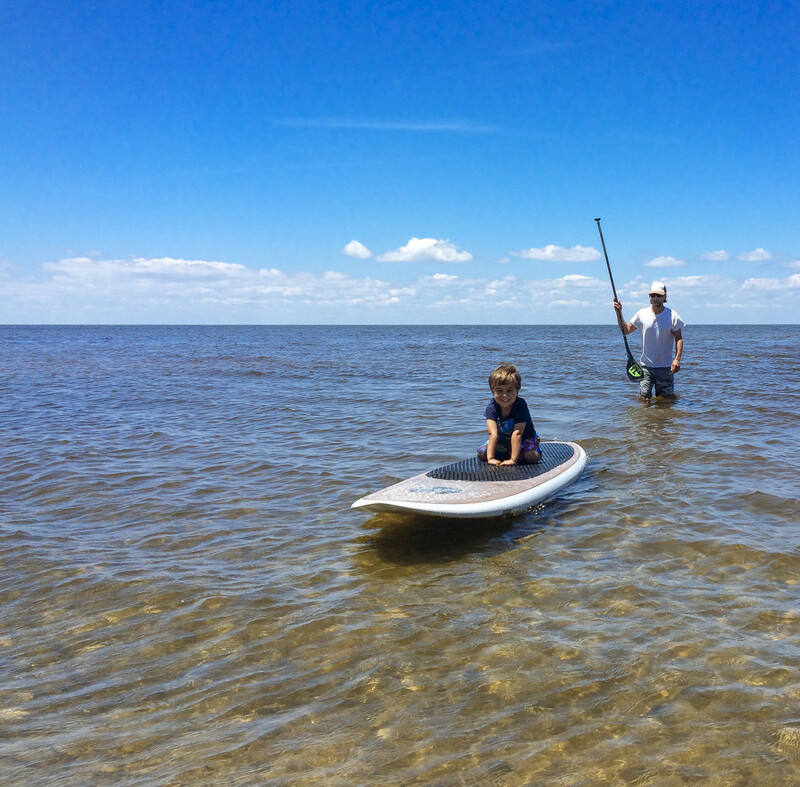 These shallow depths, paired with the soft sandy floor, make it an attractive place for kids to play and swim and have helped make Hatteras Island a world-class kiteboarding and watersports destination. Some soundfront vacation homes have their own dock or walkway and a number of neighborhoods on the sound have a community sound access or boat ramp. Surf or Sound Realty manages premier vacation homes, while homes on the sound may be valuably priced there is no shortage of amenities, like elevators, private pools and hot tubs. Surf or Sound Realty is known for offering some of the Island’s most spectacular oceanfront homes, but the soundfront experience is one that’s equally incredible. 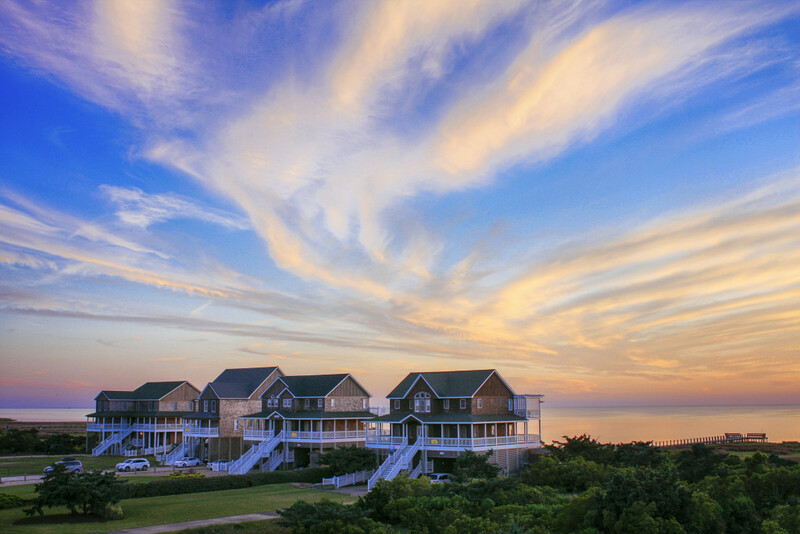 No matter where you stay on Hatteras Island the ocean is never far away. Island quilting traditions, canvasback decoy construction, the Civil War on Hatteras Island, children’s crafts, stories by the sea, maritime heritage speakers and even a birthday party for Blackbeard are some of the free activities at the Graveyard of the Atlantic Museum (www.graveyardoftheatlantic.com) in Hatteras village for this summer.